I wouldn’t say I have a very exciting life, I’m not saying I am unhappy but I do sometimes yearn for a little bit more excitement. Before I met my husband and pre children my life was quite varied and I think because of that I sometimes miss the exciting varied life. 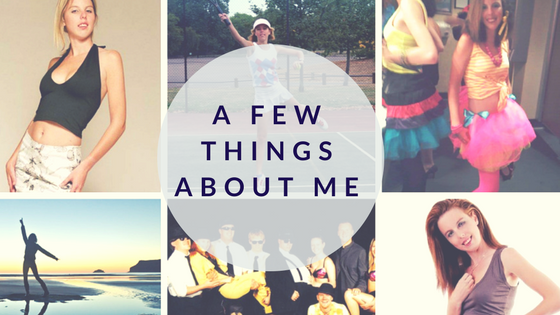 Here are just a few of the fun things I have done in my life so far. I know there will be more fun things in the future too – I will make sure of it. * I used to be a Magicians Assistant. When I was at University I worked on holiday parks in the summer holidays, to save money for the following year. One summer after University had finished I went for an audition and ended up with the role of a magicians Assistant. This was one of the most fun summers I have had. It also led onto so many further opportunities. Rehearsing for the show was certainly interesting. I knew nothing about magic and illusion acts until then. There were lots of giggles, hard work and preparations involved. But I loved every minuet of it. Once peak season started we were busy performing shows and entertaining crowds of all ages. The magician who I worked with is a lovely man and even now we are still in touch. * I worked as a Deputy Stage Manager on Pantomime’s over the winter & festive period for a few years. I first fell into this job after meeting someone at a holiday park that I worked at, the year before I was a magicians assistant. This was a great job. Having studied Theatre Studies when I was younger I developed a love for the theatre. So when I was offered this job I jumped at it. There was a lot to learn but I picked it up quickly, working on pantomime was fast passed and fun. I met so many interesting people, lived in places I had never been to before or even heard off. Some back-end of Wales place when the pantomime was on tour. The years I worked on Pantomime are years I look back on fondly. I am sat here writing with a smile on my face. *Another exciting adventure was working on a cruise ship as an entertainer. I was told about auditions and interviews to work on a cruise ship after I had graduated from University. I went to the interviews as it all sounded pretty exciting. Entertaining and traveling the world. 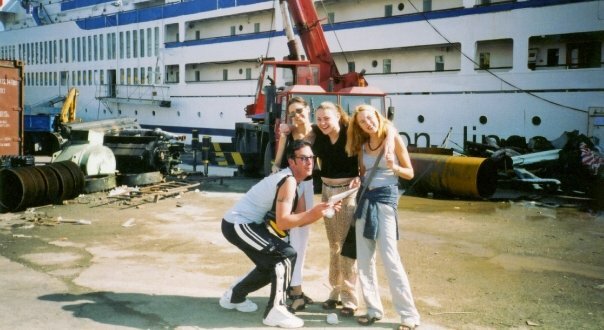 The day I went out to join the ship I was met at Gatwick airport by the entertainment manager and we flew out to Greece with another entertainer to join the ship. Rehearsals for shows and other entertainment tasks started the next day. The team was great, a few I am still in touch with. Unfortunately my job as an entertainer on a ship was short-lived. I wont mention the cruise ship name or the company as they went into administration and we were all unemployed with money being owed. Despite all of that I had some fun times. *I always wanted to travel and see the world. It is one of the reasons I wanted to work on a cruise ship. I decided to go back packing around Bali. It was a fairly impulsive decision. I went and bought a flight ticket and went from there. A friend then went and bought a ticket too. With the money I had saved from working at a holiday park and pantomime, one January i back packed around Bali, for a month or so. It really was an amazing experience. We went to plenty of temples, had some awesome fun snorkelling, tried different foods, met new people and there was partying involved too. I am lucky to have done quite a bit of traveling before children, I’ve been to Bali twice, Kenya, Dominican republic, Budapest and a few other places too.. I am grateful to have had such a varied life before I got married and had children. Being a mum is exciting and fun in a different way. I do hope that when the children are old enough we will get to travel to some great places as a family. There wont be any back packing for a while though. My birthday is on the same day as Rowan Atkinson – he is funnier than me! I share my birthday with Nigela Lawson – who can definitely cook better than me. Dancing is one of my most favourite things to do. Due to a hip problem I haven’t danced in a while which makes me sad. When I was around ten I loved finger knitting, I made a massive ball that went round our house and our neighbours house twice – really should have submitted it to the Guinness Book of world records. Whilst at University I did some part-time modelling. This helped financially and I loved it. I fractured my wrist when I was 13 at a roller disco – my mum thought I had sprained it so sent me to bed in agony – thanks mum. I hope you have enjoyed reading a few things about me. Have you done anything exciting things in your life? I love that you used to be a magician’s assistant! I share a birthday with North West (as in Kardashians) – she’s a toddler and yet is richer and has a nicer wardrobe than me haha! This was my life before children.. finger knitting is kind of knitting with your fingers.. definitely one to google.. kids love it. I sometimes wish I went travelling pre-children but I am looking forward to going when they are all grown up. I wanted to work on a cruise ship but looking after children, i then met my would be husband so glad i didn’t! How amazing that you were a magician’s assistant! That must have been so much fun! Amazing experiences! I bet Bali is beautiful! Being a magician’s assistant sounds like lots of fun! Sounds as if you have packed a lot in already! I’ve told you before, you should write a book!! You are such a dark horse and have had a very interesting/exciting life. I love that you were a Magicians Assistant. That’s a way cool job. In relation to your life my life sinks further into the boring. I totally need to get a life!